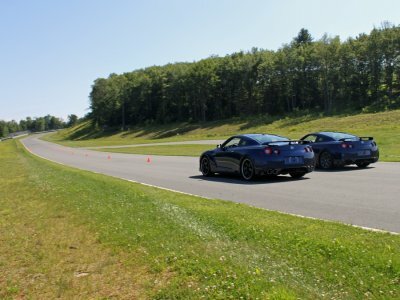 Business Insider was one of the media outlets that was invited to the North East 2013 Nissan GT-R experience. So far there have been events in Florida, California, and now New York. Head over to the article and some pictures from the event. The journalist gives a few impressions of the car, plus the 2012 vs the 2013 car on track. However, if you want a car that can outperform vehicles that cost three times as much and make nearly any driver look like a superhero, teh GT-R is for you. Sure, it may not look as dramatic as a Lamborghini or have the interior of a Ferrari, but does that matter when you can obliterate both of them on a race track?